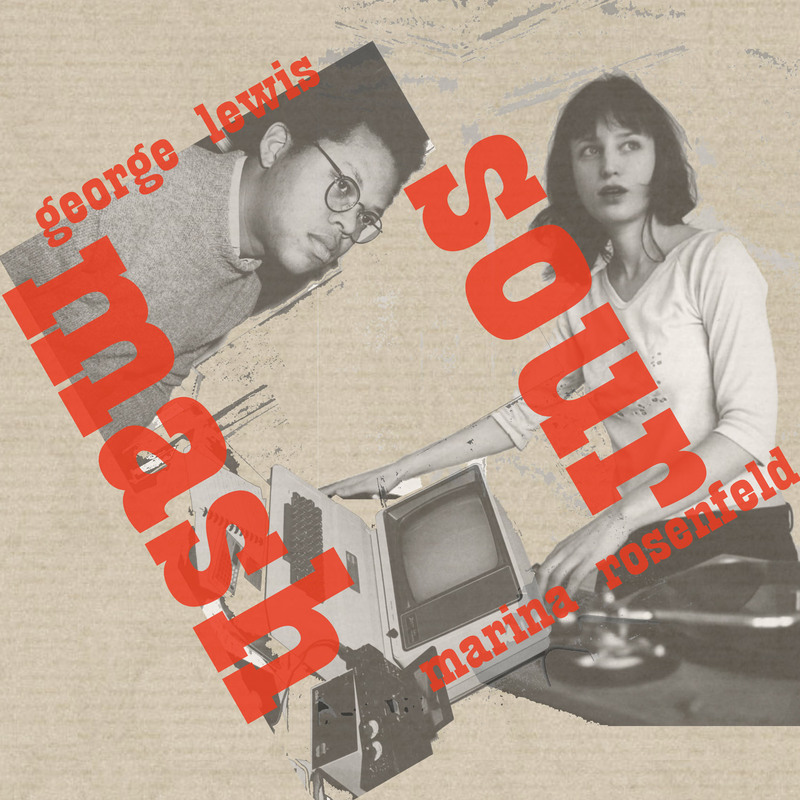 Beyond dialog, beyond collaboration, Sour Mash is the result of a heady fermentation process involving CPUs, vinyl ridges, instruments, and a whole lot of imagination springing from George Lewis's and Marina Rosenfeld's respective heads. The gritty aural stew is turned and looped and served up through loudspeakers but it is never quite done; it improves with age and the interpenetration of its herbs. Birthed during a Harvestworks residency, the pair developed a shared creative language that, months later, reveals a fused artistic voice - one that others can now complement. The original sound compositions are available in convenient vinyl format so that enterprising turntablists can cue up several synched versions at a time to output something new. Or you can sit back with the CD version and listen to the combinations that the artists themselves landed on once. Either way, this is a powerful spiritual experience. Not for those with weak livers. George Lewis serves as the Edwin H. Case Professor of American Music at Columbia University. The recipient of a MacArthur Fellowship in 2002, an Alpert Award in the Arts in 1999, and fellowships from the National Endowment for the Arts, Lewis studied composition with Muhal Richard Abrams at the AACM School of Music, and trombone with Dean Hey. His widely acclaimed book, A Power Stronger Than Itself: The AACM and American Experimental Music, was published by the University of Chicago Press in 2008. Marina Rosenfeld is a composer and artist based in New York. In recent years, her work has been widely commissioned in Europe and North America. She has performed frequently with Merce Cunningham Dance Company, and created works for Douglas Dunn Dance Company, the New York New Music Ensemble, the Electronic Music Center and the Kitchen House Blend Ensemble. Her work has been included in two Whitney Biennials, 2002 and 2008. Rosenfeld is co-chair of the Masters program in Music/Sound at Bard College, and has served on the faculty of its Milton Avery School of the Arts since 2003. Sour Mash’s looped textures alter each time the composition is performed. On this version there’s no separation between the two creators’ input(s). Interspaced with episodes of sampled footfalls, mumbling voices and slide-whistle-like vibrations, the piece’s focus is on the sonic contrasts produced as both programs evolve simultaneously and languidly. Simmering and shimmying, buzzing sequences, blurry crackles and speedy whooshes share space with wind-chime-like pealing, watery bubbling and abrasive rustles. Defined with flanges and granulation, the processes evolve so that linkage is apparent, but with enough unexpected pauses, drones and beeps to keep the ever-shifting texture fascinating. The music doesn't so much articulate memorable motifs as it creates an ambiance. I find it a fascinating listen.